This book is about a boy named Max who decides to run around his house and break the rules, so he is sent to bed without any dinner. 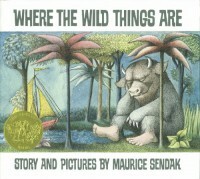 When he gets to his room, he imagines sailing to a island where he finds some monsters called Wild Things. He intimidates the beasts, who in turn make Max their king. He plays with the beasts all the time and do crazy things. After a while, Max starts to feel lonely and misses his home. He decides to leave the Wild Things even though they do not want him to. Upon his return to his room, he finds a hot plate of food waiting for him. I believe I can use this in my classroom to teach the students that even though it is fun to break the rules, you may miss out of other things you really want. 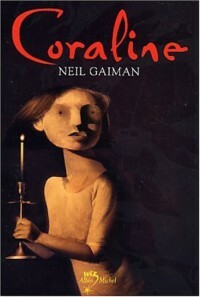 This is a fun children's book that can be a little disturbing, simply due to the fact that the lady dies at the end. 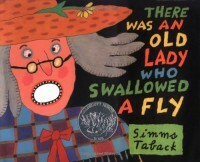 The book is about an old lady who initially swallows a fly, then swallows a series of animals to get rid of the animal she had eaten prior until she eats a horse and dies because a horse it to big. This book could help with sequencing a story while providing the opportunity for the children to be interactive by making this into a song or other activity. This is a story about 3 ghost children who met an untimely death in different places in the world but are all stuck ina house together while being bullied by the ghost of an old woman. The old ghost uses the children to help keep herself in the human world by draining the children's energy. One day, a woman and her teenage son move in to the old house. The ghost children try to keep them away but their efforts are unsuccessful. The old ghost possesses the woman in order to get close to her son because she missed having a child of her own. The 3 ghost children and the teenage boy work together to save the woman and send the old ghost into the afterlife. This is a book I would give to advanced readers depending on their maturity level. It is not a difficult book to read but some parts can become complicated. This book is about a fish with very beautiful scales, who is asked to give away one of those scales. 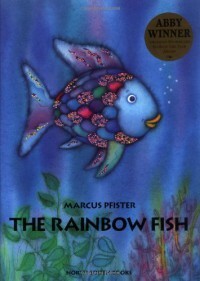 The rainbow fish refuses and the other fish claims to never play with the rainbow fish again. So rainbow fish gets advice from the octopus who tells him to share his scales. Once he finds the other little fish, he gives a scale away. After that, other fish ask for some of the beautiful scales also. I would use this book as a way to friendship building in the class. We could make our own scales and put the on a board in the shape of a fish. 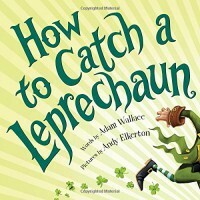 This book is about the many ways kids can try to catch a leprechaun. The children in the book come up with some great and crazy ideas from using a simple box to having a high tech security system. This very entertaining book keeps the students interested in the story and opens up many possibilities for fun projects. I would use this book around St. Patrick's Day and use it to read aloud to the students. One possible activity to do is to make our own leprechaun trap in the classroom. 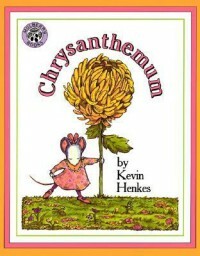 This book is about a little girl named Chrysanthemum being made fun of at school because of her name. Every time she gets bullied at school, she goes home to get comforted by her mother and she starts to feel like her name is beautiful again. When the teacher finds out about the bullying, the teacher shares with the class that her name is based off of a flower also. The class then starts to tell Chrysanthemum how much they love her name and that they want the same name as a flower. This book is about bullying and acceptance. I would use this in my classroom as a way to bring up bullying and to show the students to love themselves. 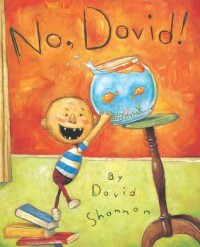 This book is about a little boy named David who runs around breaking all of the rules he can think of. Every time he does something wrong his mother tells him "No, David!". 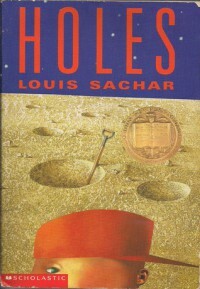 I would use the book towards the beginning of the school year to help make rules for the classroom. This would also be a great book to read aloud to the students during a brain break. This book is a fun way to help teach the life cycle of a butterfly and a great way for math practice in lower grades. The book starts off the the caterpillar hatching from the egg and eating all kinds of foods. The caterpillar then makes his cocoon, where he eventually emerges as a beautiful butterfly. I would use this book in my class as a way to review math and for science lessons on butterflies. 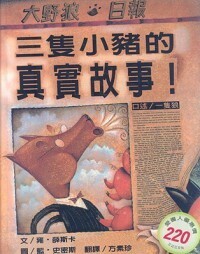 This is a version of the Three Little Pigs that shows the story from the wolf's point of view. In this story, the wolf is baking a cake for his grandmother but he does not have any sugar, so he decides to go visit the little pigs down the road to get some. As he comes up to the first house, the little pig was rude and would not give the wolf any sugar. The wolf had to sneeze and accidentally blew the pig's house down. The pig passed away and the wolf decided not to leave such a great snack just lying there so he ate the pig. He went to the second house and the same thing happened, the wolf sneezed and blew the house down, killing the pig. That poor pig was also eaten. The third house was made of bricks so the wolf was not able to accidentally blow the house down. The police came to arrest the wolf and put him in jail. I would use this story to help introduce the concept of different points of view. A little girl named Fern convinced her father to spare the life of a piglet who she ends up naming Wilbur. After Wilbur does some growing, he is sold to Fern's uncle where there is more room. Wilbur tries to befriend the other farm animals but they reject him. Charlotte, a spider on the barn door, befriends Wilbur and keeps him company. Wilbur discovers that he is going to b slaughtered so Charlotte comes up with a plan to save him. 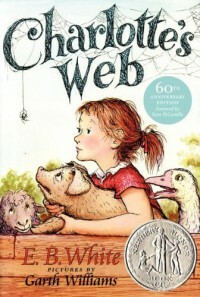 Charlotte spins words describing Wilbur into her web which attracts a lot of local attention. Wilbur goes to the county fair and is praised by most of the people there. While at the fair with Wilbur, Charlotte spins an egg sac and ends up passing away. Wilbur takes the egg sac back home where is hatches and Charlotte's offspring keep Wilbur company. I would use this book to help with reading comprehension and sequencing. Brian is a 13 year old boy with divorced parents. 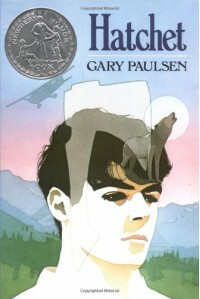 One summer he decides to visit his father in northern Canada. Before he leaves, his mother gives him a hatchet as a parting gift. Brian boards a bush plane and takes off to go see his father. During the middle of the flight, the pilot suffers a medical emergency and passes away. Brian tries to take control of the plane and land it but it ends up crashing into a lake in the middle of a forest. He survives the crash and holds out hope that he will be rescued soon, but after awhile he realizes he is going to have to learn how to survive on his own. For most of the summer, all he has is his hatchet and the clothes on his back. He learns how to start a fire and find food and deal with different threats. Then one day there is a tornado that shifts the plane from the bottom of the lake more towards the bank of the lake. He decides to swim under the water to get into the plane for supplies. Once he is inside, he finds a survival pack that contains an emergency transmitter. He tries to activate it but does not know how to use it so he throws it away because he thinks the water ruined it. However it is working and his distress call is heard by a passing plane that comes to rescue him. I would use this book to test students for comprehension considering it is full an incredible story. Also would be a great book for advanced readers. 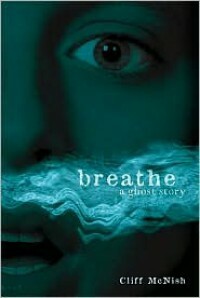 Stanley is a 14 year old boy from a poor family that claims his family is affected by a curse from his ancestors. One day Stanley is walking home from school when he suddenly has a pair of shoes in his possession that belonged to a famous basketball player. He is accused of stealing the shoes which were donated to a homeless shelter to raise money. He is sentenced to go to Camp Greenlake, which is a work farm to build character. Everyday, Stanley and the other boys at Camp Greenlake have to dig a large hole in the blazing sun. They are told they will be rewarded if they come across anything of interest. During the time in the book there are flashbacks to Stanley's ancestors who were originally cursed with bad luck by Stanley's ancestor betraying the Zeroni family. One day his best friend Zero runs away from the camp and Stanley follows him because he is worried Zero will get lost in the desert without water. Both boys found a mountain that looks like a thumb, and Stanley remembers a story of one of his ancestors finding refuge on "God's Thumb". They find water and food on top of the mountain, and that's when Zero tells Stanley that Zero is the one who stole the shoes and accidentally got Stanley in trouble. Because of Stanley helping to carry Zero up the mountain, Stanley's curse was broken. They returned to Camp Greenlake in the middle of the night and they discover a chest with Stanley's family name on it. The warden of the camp tries to take it from them but in the end Stanley gets to keep it. The family opens it and finds jewels and money. I would use this in my classroom for quiet reading time for advanced readers. 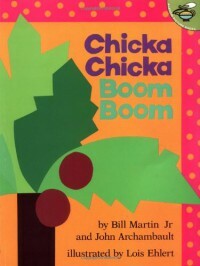 This is a fun and very entertaining story about lowercase letters being used as children who want to climb up a tree. All of the letters climb up in order, only to fall down and get hurt. The parents (the capital letters) come to help the kids back up and brush them off. That night while the parents are sleeping, all of the children run back outside and start climbing the tree again. This story could be used to make all kinds of activities from playing out the story to making a musical game. I would use this story in my classroom for lower grades to help with letter practice and for higher grades to make musical activities. 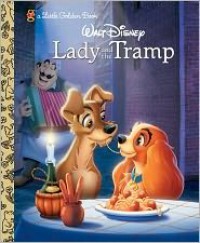 A Disney Classic. This book is about a dog named Lady who lives with a wonderful couple in a beautiful house. After awhile she starts to notice they are not paying as much attention to her and the woman is making quite a bit of smaller clothes. Lady's two friends Trusty and Jock tell her the couple is expecting a baby. Tramp comes along and tells Lady how horrible babies are, but she refuses to listen. Once the baby is born, Lady is extremely happy because she gets to watch over the baby now as well. The parents decide to take a vacation, leaving Lady and the baby with a relative who brings her two evil cats with her. The cats start causing problems for Lady and cause the caretaker to send Lady off to the pet store where she escapes. She is chased by a pack of dogs and Tramp saves her. They end up spending the entire night together, even going to far as to get some spaghetti to eat. The next morning Lady heads back home where the caretaker chains her up outside. That night lady sees a rat go into the babies room from the outside. Tramp goes in to stop the rat. Dogcatchers take Tramp away. Trusty and Jock go to save him and end up somehow knocking the wagon over next to a taxi. The taxi has the couple inside, who go home and see how Tramp helped and allowed him to stay home with them and Lady. I would use this in my room for personal reading. This book is about one of Disney's most beloved characters, Bambi. 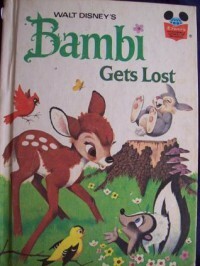 In this book, Bambi goes off to play with Thumper the rabbit out in the woods. Bambi's mother warns them not to get off the path or they will get lost. Of course, as all young people or animals do, they do not listen and end up getting lost. They ask a series of other animals how to get back to the path that will lead them home. Finally, they ask a wise old owl how to get back home, and he points them to a lake where the path home runs around. On their way to the lake, they encounter more animals that point them in the right direction. Bambi and Thumper safely make it back home before it gets to dark for them to see. 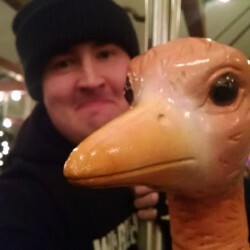 I would use this in lower grades while learning about animals. This could be used to read to the class or them to read themselves. I would put this book for use between K-2nd grade.